In the month of September, 2018 all the Speed Breakers from Sambra Airport to GIT college at Udyambag were removed for the visit of the President of India. The PWD then on priority had removed almost all the Speed breakers in the city, but at some places, the need of the speed breakers is a must. Speed breakers are used to slow down traffic near schools, hospitals so that children can cross the road more easily or senior citizens can cross at ease. They are also placed at entry points of bridges or narrow roads, to ensure that motorists reduce their speed. While speed breakers can help in slowing down traffic and reducing high speed crashes, an unplanned or illegal speed breaker can be as much (if not more) dangerous than the high speed crashes it is trying to prevent. 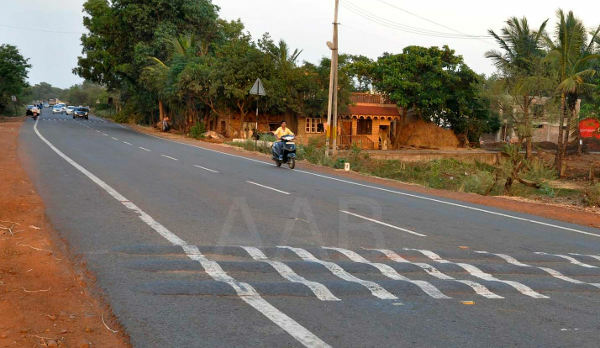 It is very common across India to see speed breakers being laid haphazardly. As per the law, Speed Breakers must be used only in urban areas for minor roads and residential areas. Speed Breakers are NOT recommended on high-speed roads or highways outside urban limits. There are many locations at which speed breakers should be installed so that speeding can be avoided which will also help in the smooth flow of traffic. regulated or safe speed in the area.